Self-Driving car market is expected to face a difficult path in India as the penetration level and customer acceptance would be a big challenge for the self-driving car manufacturers. The industry giants such as Google, BMW, GM, Baidu, Tesla, and Toyota among others are expected to bring their cars between 2018 - 2025. This market is expected to gain robust growth in the coming years but is expected to face a tough time in India particularly being the huge market for manufacturers. India market is expected to experience slower growth rate particularly due to lower acceptance about this technology, safety, and high price among others. Safety would play a vital role in the acceptance of automated car technology. 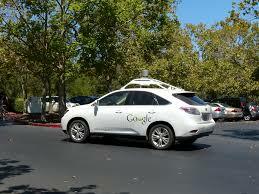 Government approval and public safety may hinder the growth of driverless cars market. However, it sounds to hold huge opportunity in the years to come diminishing the impact of safety and acceptance. So, the Self-Driving Car Market - Really Going to be Driver-Less?